It’s hard to say what moment of the seventh grade trip was most captivating. 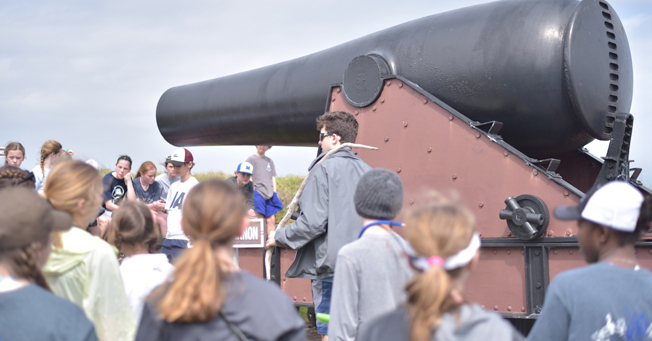 For students, many of whom had only passed through the Mississippi Gulf Coast while traveling, the March 8-9 overnight trip was eye-opening. 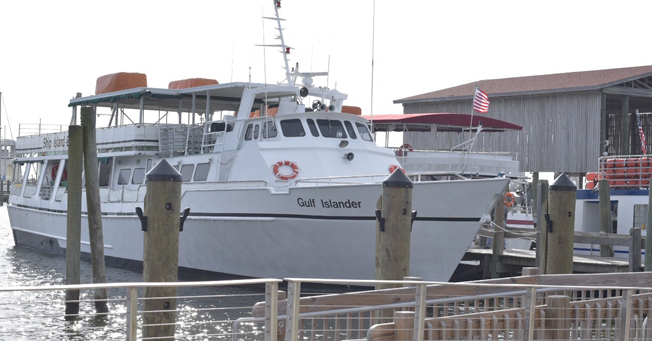 Thanks to staff from the University of Southern Mississippi Gulf Coast Research Lab and the Institute of Marine Mammal Studies, the trip was educational, too. New encounters for JA students generated many questions for USM Research Lab Director Ben Weldon and 20 staff and research students. 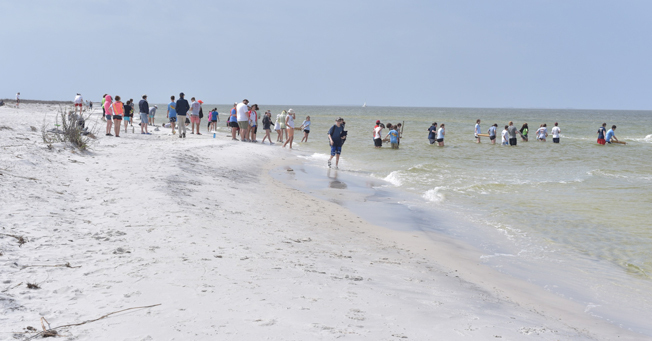 During a three-mile hike from Ship Island’s Gulf side to the west side, students found live crabs, shark teeth, vegetation, animal remains, numerous shells, a molted horseshoe crab, a moon jelly fish, black sediment on the beach that comes from the Rocky Mountains, and a coconut with coral and barnacles attached. “It was cool to see animals I had not seen before,” said Michael Hogue. He was especially interested in the horseshoe crab and how arthropods molt. At Fort Massachusetts there was the discovery of an old bullet that may have been a Civil War relic. There was a large cannon that originally took four soldiers to move. There was a lesson about how sand has to be moved from one side of the island to the other to prevent natural erosion of the island that would otherwise submerge the fort over time. Jack Madison, a 91-year-old park docent, shed light on historical aspects of the fort. 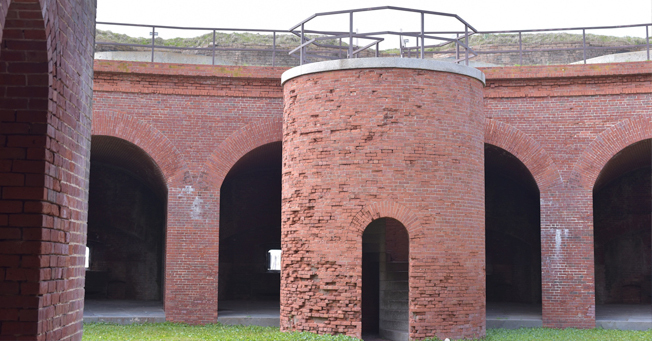 For instance, the fort is two colors of brick because construction had to be stopped, and a filtration system allowed roof water to be filtered into the fort so inhabitants could have fresh water. 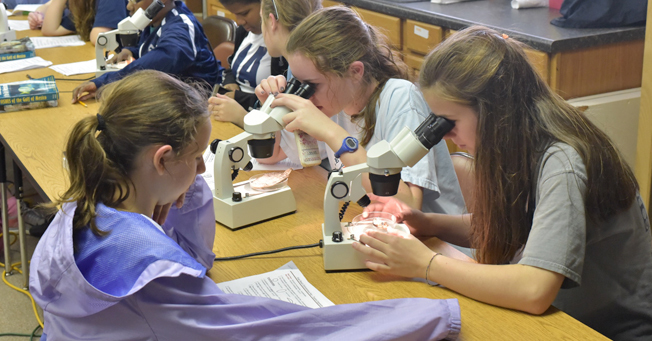 Back at the USM Gulf Coast Research Lab in Ocean Springs, students dissected sharks, fished with a seine net, and used a dichotomous key to identify fish. They baited hooks with shrimp and reeled in fish off a dock during a blustery day. “Even if you are not an outdoorsy person, you are going to like this trip,” Emily Thompson said. 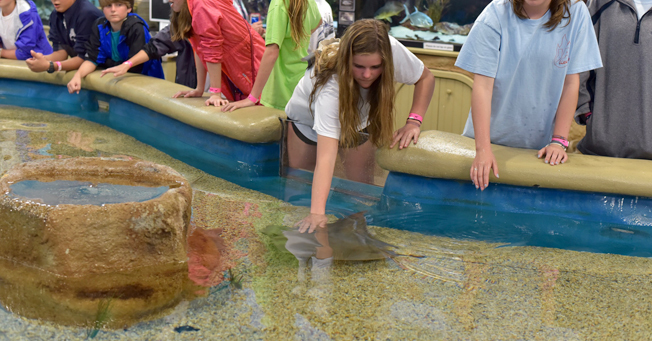 At Gulfport’s Institute of Marine Mammal Studies, a facility with a mission to rehabilitate injured dolphins and sea turtles, students visited a touch tank containing sharks, stingrays, starfish, and a horseshoe crab. They learned things humans could do to protect creatures, such as cutting the plastic that holds together a six-pack of soft drinks before disposing of the plastic. Left in nature, such plastic injures sea life. 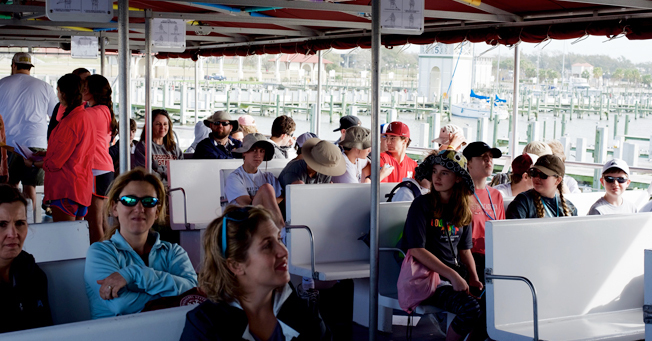 Students saw sea lion and dolphin shows. They met two “retired” dolphins that had worked for the U.S. Navy in undisclosed missions. 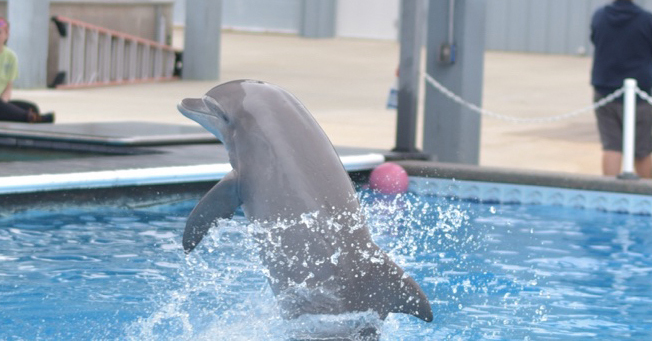 Students learned how trainers communicate with a deaf dolphin. Apollo was found in Mississippi when he was a one-year-old suffering from the effects of the 2010 oil spill in the Gulf of Mexico. He cannot return to the wild because of deafness. Trainers communicate with Apollo by tapping on the water with their hands or a mallet. 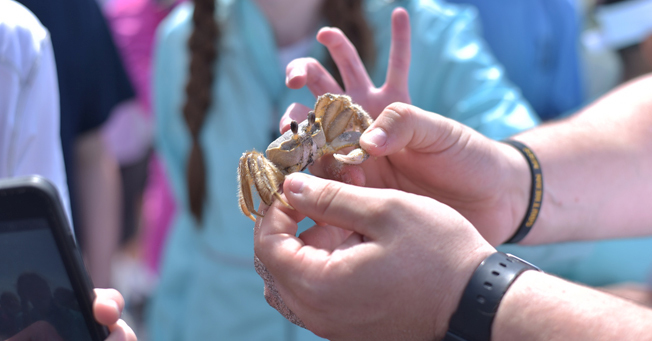 Even students who were hesitant about a rigorous island hike or touching a stingray returned saying there was a lot to enjoy about the seventh grade trip. “Even if you are not an outdoorsy person, you are going to like this trip,” Emily Thompson said. Will Pilkington and Thomas Arnold agree. They were particularly interested in the shark teeth, the fort, and fishing. Thomas learned that sharks lose teeth each week, and he was thrilled to find shark teeth at Ship Island. Will thought the fort was fascinating. 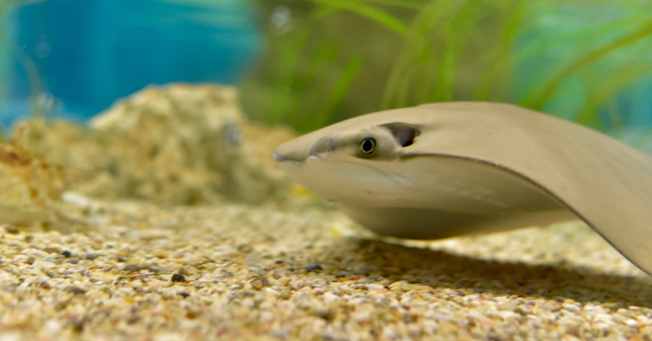 He also liked the yabbi pumps that unearth burrowing crustaceans used along with a screen sifter that sorts for shrimp. Using these tools, students got a glimpse of clear ghost shrimp. Teacher Katie Chustz said the trip met a variety of purposes. 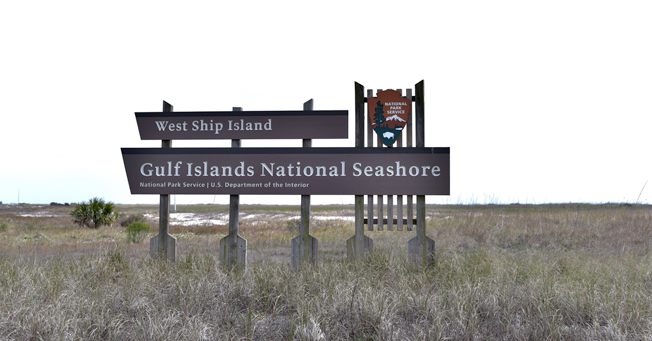 One was to expose students to the Mississippi Gulf Coast and reinforce lessons of the Mississippi Studies curriculum taught by teacher Sydney Pinnen. 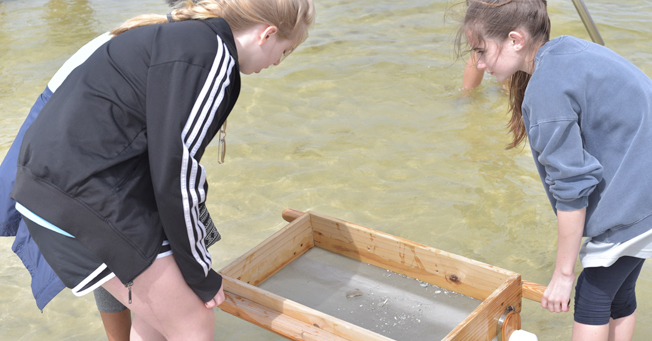 All of the events were also tied to their STEM oceanography and ecology studies. Finally, in keeping with JA’s SOAR objectives, students had an opportunity to get out of their comfort zones and try new things.